Indus Valley art and architecture, which have evolved through centuries, is the result of socio-economic and geographical conditions. Different types of Indian art and architectural styles include forms of expressions over space and time, transformed by the forces of history considered unique to India. As a result of vast diversities, a vast range of architectural specimens have evolved, retaining a certain amount of continuity across history. Art is a subjective concept and has no unanimously accepted definition. We can define art as the power, skill, ability and talent that an individual possesses to express himself or herself. Art is simply an acquired skill that can be brought into use make another person know and understand, what you think and how you feel. Art happens to be a yet another word for expression. A large number of terracotta figurines of me, women and animals discovered from the Indus Valley civilisation comprises a remarkable group. The figurine of the great mother Goddess is one of the most typical evidence of the civilization. The survived works consist of the high-crested head-dress, the chaplets round the neck, the long series of pendant necklaces, a beautiful miniature bronze girl with thin limbs who holds a bowl against her thigh etc. The humped bull, dog, sheep, elephant, rhinoceros, pig, monkey and several birds, as well as wheeled model carts and whistles constitute the wide variety of clay toys that the Indus Valley people fashioned for their children’s enjoyment. The variety of wheel-turned pottery backed in round kilns, reveals the amazing expertise of the Indus Valley craftsmen. The great variety of painted decorations and pictorial motifs, including leaf patterns, scales, chequers, lattice-work, wave patterns and trees and floral designs were their most important creations. 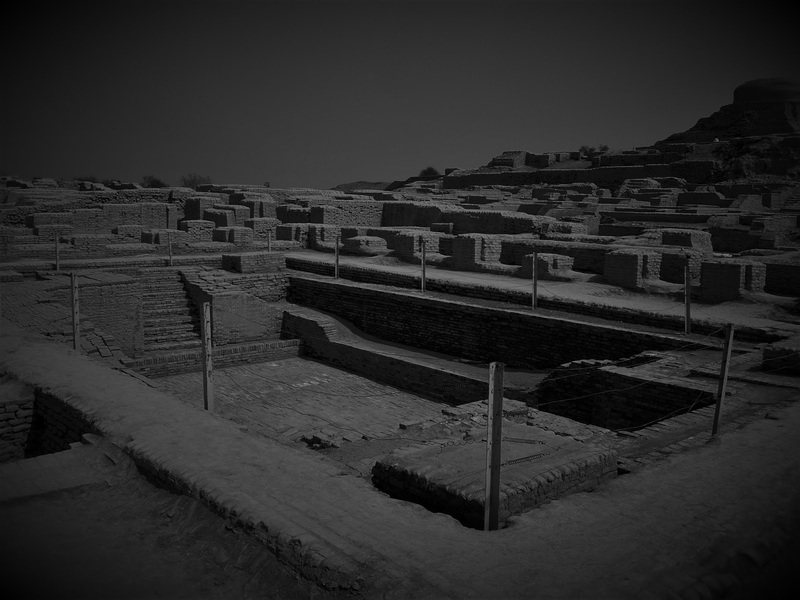 The layouts of Harappan cities were much planned and the streets were rectilinear. The houses of the earlier settlements were with an upper storey, made of mud and backed bricks in standardized sizes. The Streets, along with the house were wide, with drains collecting from bathrooms and latrines by means of chutes. The granaries and the great bath at Mohenjodaro seem to have been constructed for special rituals. • The dresses, ornaments and the hair-styles of people. • Skill of the artists and sculptors. • Trade contacts and commercial relations. • Scripts of the people. This seal depicts a yogi, probably lord Shiva. A Pair of horns crowns his head. He is surrounded by a rhino, a buffalo, an elephant and a tiger. Under his throne, are two dears. 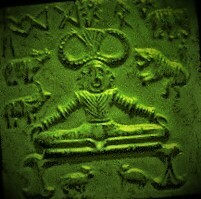 This seal shows that Shiva worshiped and that he was considered as the lord of Animals. The Unicorn Seal is a mythological animal. The Unicorn seal shows that at a very early stage of civilization, the humans had the produced many creations of imagination in the shape of birds and animal motifs that survived in the later art as well. This seal depicts a humped bull of great vigour. The figure shows the artistic skills and a good knowledge of animal anatomy. The Ornament made of gold, silver, copper and other metals were worn by both men and women. Men wore necklaces, finger rings and armlets of various designs and shapes. The women wore a head dress, earrings, bangles, girdles, bracelets and anklets. The rich people wore expensive ornaments made of gold while the poor had ornaments made of shell, bone or copper.